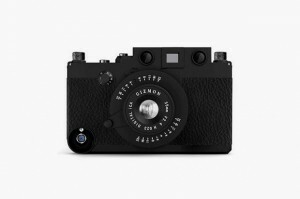 Taking you back to the days of military photographers and their Leica rangefinders, the Gizmon iCA Military Edition has arrived in solid black for iPhone enthusiasts everywhere. Constructed of 23 durable polycarbonate pieces, the Military iCA wraps itself around your iPhone completely and features a detachable tripod mount which is great for longer exposures and a soft fabric bag that will protect the Camera when not in use. 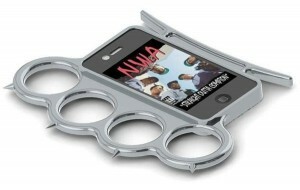 The Military Edition iPhone Case is available at the Four Corner Store for $70 USD.